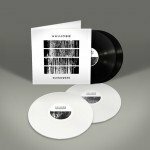 Content: Sündenrausch is a brand-new duo based in Hamburg (Germany) releasing their debut full length album on Echozone. The introdction to the album clearly reveals a talented female singer who literally emerges at the surface with a beautiful and graceful singing. All the songs have been sung in the band’s Mother tongue, which injects this typical German goth-rock spirit. 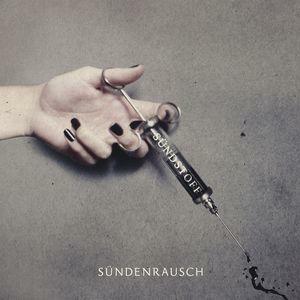 Sündenrausch is one of those bands clearly appealing for a German speaking scene and, which will have some real difficulties to be successful outside their homeland. I can’t say that the songs are not well-crafted, but there’s no single trace of a real climax. Kira Sinister is the only good reason to pay some attention to this work because of her vocals skills. One of the first and few real highlights (cf. “Lüg Mich An”) once more show the passionate and transcendental way of singing, but there also is a cool moody and even suffering touch running through this track. That’s rather the opposite of the furious and somewhat enraged “Brenn!”, which is driven by metal-orientated guitar riffs. The vocals become now more passionate and enraged as well. “Brenn!” is the kind of song I would have like to have heard more of, but the next songs rapidly move back into rather flat composition without a real musical soul. The bonus song “Narben”, which seems to be an older band song, reveals a more delicate side and a fine twist between piano parts and vocals. This is another side of the band, which is more credible and fascinating. A last word about “Sündstoff” is that it comes as a great artistic digipak. Conclusion: “Sündstoff” is an album with not many highlights and where a talented singer is the only real point of interest. Best songs: “Brenn!”, “Lüg Mich An”.